We didn’t waste time. We jumped into Milano’s car and drove to Pinehaven hospital. I must say, my mind was spinning. All I could think of was Reatli’s whereabouts, who was in hospital and what really happened. I could just hear my mother in law accusing me of everything that happened. Kana mosadi ole, never takes responsibility for her own action and when trouble finds its way to her, she always want someone who must take the blame. I could just picture her after knowing that I knew about the murder and that I encouraged her to play along. Yooo, I was really scared. And to be honest, I was guilty for letting things go that far just to have Nyiko be arrested. Look how things have turned out! The silence in the car was deafening. PT's phone and those of the people he was with, rang unanswered. That alone drove me even more crazy because I didn’t know what was going on. Milano played You Raise me Up by Josh Groban. All I did was sing along and pray. I prayed all the way to hospital, asking God to work behind the scenes on my behalf. We arrived in hospital and headed straight to information. To be honest we didn’t know who to look for because we had no idea who was admitted. Milano told me that he will handle it. We greeted the lady on duty. Milano: Uhm, sister, we are here to check my brother. He was brought in by the police an hour ago. We have little information about his condition. Ehh, we received a call from detective Xavier. Receptionist: Are you Mr. Baloyes’ family? Nna: Yes, we are. Where is detective Xavier and how is Mr Baloye. We thanked the lady and walked towards the detective. 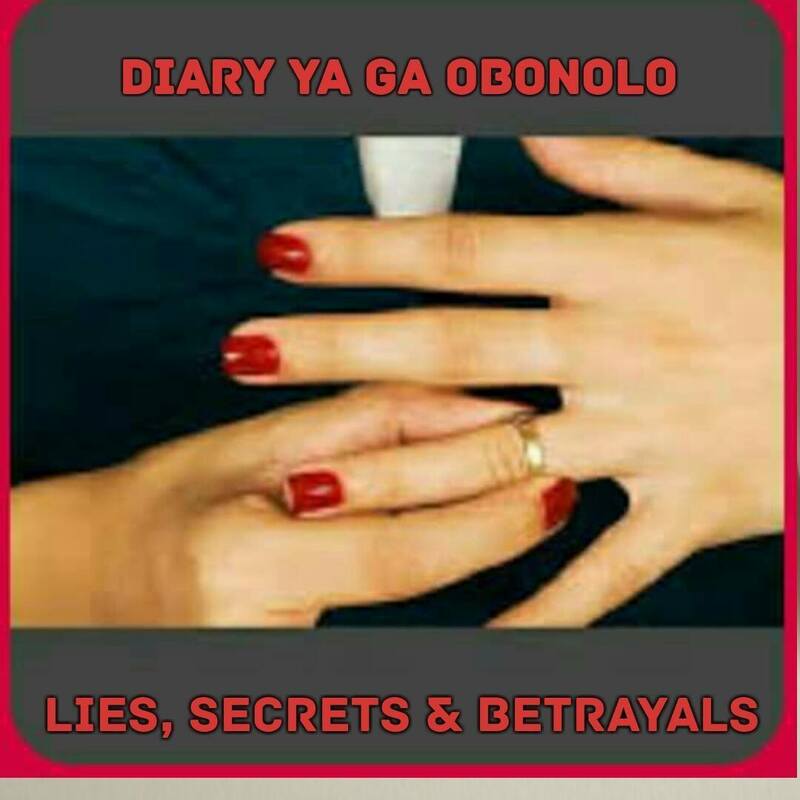 At least we know who was lying in the hospital bed and in few minutes we are going to find out what exactly happened to Mr Baloye and where was his “real wife”. Finally we reached Mr Xavier. We greeted him and told him that he phoned me few minutes ago. He immediately remembered us. Xavier: Thanks for coming. You said you are? Milano: And I’m Milano Lebitso. What really happened detective? Nna: He is my brother in law detective. And he was travelling with my sister. Where is she and what happened? Xavier: All I can say for now is that the car they were traveling in was hijacked. Mr Baloye was shot badly. There was no other person at the scene. But we found woman’s clothes scattered in the boot. Looks like the hijackers were looking for something. All of Mr Baloye’s belongings were taken, they took out his driver’s licence and put it in his hand. Paramedics rushed to the scene and I was called. I found this cellphone inside one of the bag pockets hence I phoned you. Mr Xavier went on about his speculation about what might happen and how after recognising who Mr Baloye was, he decided to have him be under police protection in case the killers try to come finish him off. I excused myself and told them that I was going to phone Mr Baloye’s in-laws as I didn’t have his family’s contact details. A thud pounded in my chest. I was sweating like crazy. For the first time in my marriage life I couldn’t bear and bring myself to dial the Taus and tell them that their son in law was hijacked, shot and lying in hospital and that their daughter is no where to be found. Just as I was about to call my mother in law, I spotted PT and two guys approaching. I put my phone back in my handbag and walked towards them. I really prayed and hoped that they managed to save Reatli and that she was somewhere safe and sound. PT greeted the detective and introduced the two gentlemen he was with as criminal investigators. The two gentlemen and the detective went aside to have some private conversation. Milano just asked his brother if it was good or bad. PT: A bit of both. Milano: What went wrong? Where is GD’s wife? PT: To be honest, I don’t know. We were waiting for the hitman to give us a greenlight. The plan was that, he and GD were supposed to meet somewhere by the garage to exchange envelope and money. Then once they parted, he was supposed to phone and tell me what next. He did phone and tell us to be ready. While talking to him, he said something about some car following him and asked if I knew about it. I told him to do a U-turn and go back to the garage and call me when he gets there. Just as he did a U-turn, he phoned again, telling me that the same car followed him again. I advised him to check the registration number and give it to me. I sent the registration to be checked and waited for him to phone as soon as he reached the garage. We’ve since been waiting for his call until you phoned and left a message that you were coming here. I don’t know what happened to his wife and the hitman. Looks like someone beat us to it . Nna: I don’t understand. Who else knew about this? And what did they do with the hitman and GD's wife? PT, we need to find answers before I contact my in laws and let them know what happened. What am I going to tell them? Who could have beat us to this and why? Yooo talk about a murder plot gone awfully wrong. I pray and hope that the hitman didn’t play us and went ahead with the hit. PT: No! I don’t think he played us. Someone else did and we have to find out. My gut tells me that the car that was following him has the answers to all our questions. Let’s wait few minutes. Those guys are presenting their case to the detective. Ideally we want GD's room to be watched 247 and try to find out what really happened. Nna: The detective said after GD’s surgery, there will be two guards by honourable Baloye’s room and only family will be allowed in. I hope you get something before I make the dreaded call. Milano: I hope so too! Remember that receptionist thinks that you are Mrs Baloye. So think twice before calling. Nna: Tell me about it. Mrs Baloye is nowhere to be found. I am going to have to call someone to let them know that Nyiko is here and I guess it has to be his in-laws. And knowing Reatlehile’s mother, she would want to know where her daughter is and why did the police phone me first. What do I say PT? Should I hide the truth and wait until GD wakes up to tell us what happened? Or maybe, one of you must phone her. Milano: Yaah! That sounds like a plan. Give me the numbers. Let me call them. PT nodded and said I should not say anything to Reatli’s family as yet. He went to the three gentlemen talking on the side. I scrolled my phone to give Milberry, daddyt ‘s contact numbers. Just as I was about to move to where Milano was standing and give him the numbers, my phone rang. It was an unknown number. I quickly picked up. Nna: Reatli? Are you okay? Reatli: For now yes! I don’t know what’s going to happen next. Nna: Where are you? Who are you with? Do you know Nyiko has been shot? He is still in surgery. We are in hospital as I speak. Reatli: No, I didn’t know. Anyway I borrowed this phone. I can’t talk long. But we’ve been held hostage by Vladimir’s men. I have no idea where we are. I will try to call again once they talk to us. Nna: Who is Vladimir? And you keep saying we? Who are you with? Reatli: He is the drug Kingpin that Nyiko apparently owes millions of rands. I gotta go Bobs. Reatli just hung up without telling me who was with her. At least she was still alive and was able to get in touch. Immediately I told PT about the call and gave him the contact number. He went back to the two gentlemen and spoke to them for a few minutes, came back to where Milano and I were seated and told us that they have to go. He said we should not move and also not call anyone until he comes back. I couldn’t stop thinking about Reatli and wondering what really happened. How did she ended up kidnapped by a drug lord that her husband owed money? Could it have been a case of her and Nyiko being at the wrong place at the wrong time or this whole thing was just premeditated? Two hours later doctor called me telling me that they managed to take out the bullet in my husband's spine and stopped the bleeding. He said the bullet damaged some nerves on the spine. Although he was now stable, it was too soon to tell if he will be able to walk again because the damage could lead to paralysis. He said he was still unconscious but I could go in and see him. I told the doctor that Mr Baloye was my brother not husband. Just in case there’s complications that requires the wife. He just laughed and said he thought I was the wife and left. I pulled Milano and we walked to GD's ward. Since detective Xavier introduced us as Mr Baloye’s family, the police guards let us in hassle free. Sometimes we wish bad things for our worst enemies, but seeing Nyiko lying there motionless, I couldn’t help but feel sorry for him. I looked at Milano and all I saw was rage and anger. He even said that he deserved everything that happened and wished he was dead. I stopped him and told him that only God knows. We stood there in silence, listening to the beeping sound of the machines surrounding him. I just said a little prayer and told Milano that we should leave. PT phoned us half an hour later that they had a lead on Vladimir and his men. He said that they were driving over to one of his places and that we should go back to the guesthouse. We said goodbye to the guards. I gave them my phone numbers and asked them to call me if anything changes. We went back to the guesthouse. I must say I couldn’t take out Nyiko’s picture out of my mind. Instead of being so happy that he didn’t succeed in killing his wife, I was asking God to spare his life and protect Reatli wherever she was. The next morning we got ready to go back to the hospital. We checked out of the place since it was a one night booking. Oh, one of the guards phoned to say that Mr Baloye was awake. We spoke to PT earlier in the morning giving us an update. When we get to the hospital I left Milano behind and went alone to GD’s ward . We already spoke about not ruining and blowing our cover. When I got inside the ward, he was sleeping. I grabbed a chair and sat next to his bed. For almost ten minutes I sat there, tears running out of my eyes. All I could do was ask God to give me words to say should he opens his eyes and see me by his bedside. Another ten minutes later GD was still asleep. I stood up and put back the chair and decided to leave. As I opened the door, I heard GD coughing. I turned and looked at him. Our eyes locked. He asked for water. I went back and stood besides him. He asked again for water, I just heard myself telling him to get it himself. He begged me, saying his throat was dry. I grabbed the glass and poured water and extended my hand to give him the glass. He didn’t even move to take it. Nna: here, take this and drink. I’m sure you don’t expect me to literally put this glass on your mouth and make you drink. Hell no! Nyiko: Please Obonolo, under normal conditions I wouldn’t ask you, but I can’t move my hands. Please give me water. I’m thirsty. Nna: Where is your wife? She should be the one spoon-feeding you, not me! Nyiko: I, I don’t know. I dropped her off at the lodge and went to the garage to buy some cigarette, then on my way back to the lodge I had a puncture, I stopped by the side of the road to fix it, then two men came out of nowhere and just shot me. Nna: Oh is that so? Well, seems your wife is missing Mr and you need to contact both your families and let them know. Nyiko: How did you know that I was in hospital? Nna: I know people who know people! Just drink your water and call your family. I put a straw in the cup and gave Godzilla water. Who would have thought that I would one day be standing there, giving GD water because he couldn’t do it himself? I swear I spotted tears coming out of his eyes. I wasn’t moved. GD got what he deserved. After drinking water he thanked me. I just shook my head and said it was a pleasure. He asked me to lend him my phone to call his family. I took it out of my pocket and hid the caller ID so that my in-laws don’t see my numbers. I asked him to call out his sister's numbers. I dialed them and put it on loud speaker and held it to his ear. He spoke to his sister and told her that he was shot and was in hospital. His sister asked for the name of the hospital, he looked at me and I removed it on speaker and whispered the hospital name in his other ear. He then told his sister and hung up. He asked me to phone the Taus. I refused and said that he should do it. I also told him not to mention my name to the Taus. I scrolled to daddyt’s numbers and put it on speaker. He told daddyt that he was hijacked and shot and now lying in hospital. Daddyt sympathise with him and asked him if Reatli knows about the shooting. He looked at me, I just shrugged my shoulders and looked away. He then said that he didn’t know where his wife was, and suspect that she was abducted during the hijacking. There was silence at the other side of the phone, then a beeping sound of a call being disconnected. I pulled my hand and told him that I am leaving. He thanked me. I left without looking back. I didn’t wish to be in his shoes shame! Just as I walked towards where Milano was, my phone rang. I got such a fright thinking it was the Taus. I didn’t know what I would say should they ask me questions about the Baloyes. I then remembered that when Nyiko phoned them, it didn’t show my caller ID. I quickly checked the caller ID and saw the unknown number. Caller: Obonolo, Its Devell Vladimir. I have your sister. If you want to see her alive, you need to do what I tell you to do. Meet with me, today, at four O'clock. I will sms you the address. And lady, you must come alone. No cops. If you so much try anything funny, your sister’s death will be in your hands. I literally froze from shock. I found the nearest seat and just threw myself. I was numb. All I needed was to have GD arrested for the crimes he committed and not being caught up in some mob web. What have I gotten myself into? A vicious drug lord phoned me to rescue snakezilla and wanted me to come alone? Oh Jehovah, what am I going to do? How was I going to help Reatli from the devil that Nyiko owes money? I must say I didn’t like the way this entire operation is heading to. Not a bit. I managed to gather all the strength I needed and went to where Milano was. When I got there, PT was back. He asked me how was GD and if he was able to shed a light on what happened. I told them about GD's current condition and our conversation. PT told me about how they are planning to nail him on his hospital bed. Apparently the hitman was released unharmed by Vladimir’s men and he made contact and told PT and the police that Vladimir found out that GD was not dead and decided to keep GD’s wife for whatever reasons. The hitman was willing to cooperate with the police to nail GD. Milano looked at me, and just came closer and hugged me. He felt that I was shaking. He asked me if I was okay because I looked like I had seen a ghost . PT: Oh No O'soft! That man is a devil personified. What does he want from you? Nna: He said he has GD’s wife and want me to meet with him alone and do what he wanted me to do to have my sister back and alive. He said he will send me the address of the meeting place. And No police. PT: No! Don’t meet with him. He will have leverage on you. Let the police handle this. Just let him send you the address and give it to the police and just back off. Vladimir and Nyiko are birds of the same feathers. Once you have any contact with them, your life changes forever. Milano: Abuti Perry is right. This is not your fight ma love, walk away! Already things just got complicated, you don’t want to get your kids and family in danger. You are not going to meet Vladimir. One thing for sure, he won’t kill GD's wife, he wants his money and he might manipulate you to pay it in exchange for GD's wife. Oh Ramasedi! What should I do? Take the Mosito brothers’ advice? Or play devil’s advocate? Is Reatli worth me risking my life for?